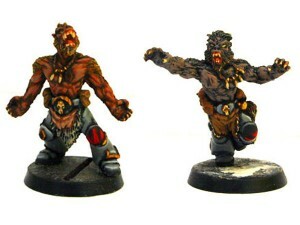 Graven Games has a review up of Mythicast's Mark of the Lycan pack of 28mm werewolf minis. Today we’ve got our hands on a Mark Of The Lycan Pack from Mythicast, a company based in the Philippines who make a range of wolf related 28mm miniatures. To us, these miniatures look like they could be excellent alternative Space Wolves models for Warhammer 40k players.